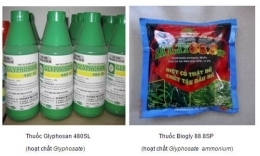 Glyphosate containing pesticides were officially removed from the List of permitted pesticides for use in Vietnam from April 10, 2019. 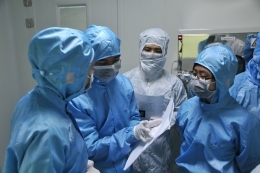 According to Plant Protection Department, the abuse of these chemicals for a long time seriously affects the environment and the health of people who are frequently exposed to this active ingredients, including consumers. From 25 – 29 March 2019 in Jinan, China, 51st meeting of the Codex Alimentarius Committee on Food Additives (CCFA 51) took place with the participation of more than 220 delegates, representing 30 member countries, 1 member organization and 25 observer organizations. VinaCert Certification and Inspection Joint Stock Company had Mrs. Dang Thi Huong, Director of Certification attending the meeting. On the morning of February 23, 2019 in Hanoi, the Party Branch of VinaCert Certification and Inspection Joint Stock Company solemnly organized the Ceremony of admitting new Party Members for the excelent masses Phan Thi Hang, Deputy Director of Certification Department and Mass. Le Minh Phuong. The admission ceremony took place in a solemn atmosphere, in accordance with the order and procedures of the Party Charter. 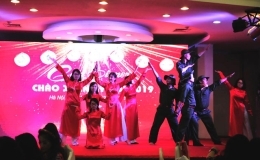 In the framework of a series of events to welcome the new year, on the evening of February 16 in Hanoi, VinaCert Certification and Inspection Joint Stock Company successfully organized the Ky Hoi Spring Gala night 2019. The program was attended by all members of VinaCert Family and over 100 delegates and guests. 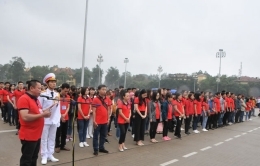 In the morning of 16 February 2019 at Ba Dinh Square, VinaCert Certification and Inspection Joint Stock Company solemnly organized Achievements Report Ceremony to dedicate Uncle. At the ceremony, the Company also rewarded some collectives and individuals with outstanding achievements in 2018.